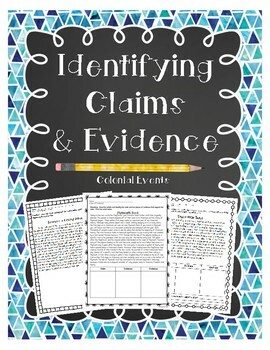 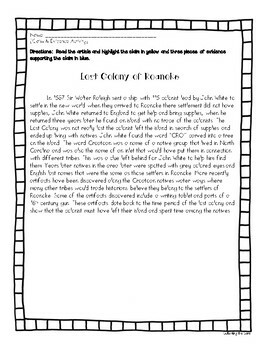 Use these passages during a colonial unit to teach or reinforce claims and evidence! 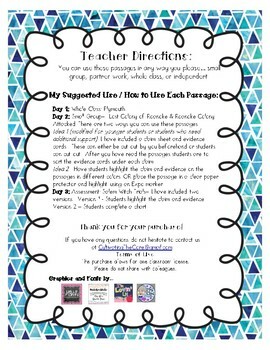 Students will read 1 or more passages and complete the organizer about the claim and evidence or you can have students work in groups of 4 and each read a different passage. 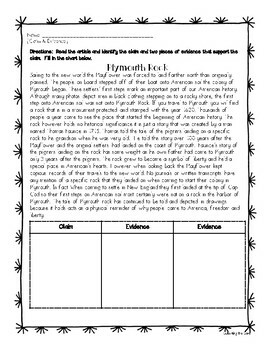 Each student will share the claim and evidence they found and then individually decide what claim they think is true.